There's a lot of talk about hair "clarification" and "detoxification" doing the rounds these days. It's important to know what's going into your hair and onto your scalp because it directly affects hair health and also has a huge role to play in how your hair responds to different products and treatments and styling tools and techniques. Clarifying your hair regularly and properly is a great idea, and is the key to keeping your hair looking good and feeling strong. Why Do I Need To Clarify My Hair? First up, let's take a look at why clarifying your hair is so important. We've all had our bad hair days but if you're frustrated with your hair more of than not, look into the causes. Healthy, strong hair should respond well to your efforts. If your hair is always doing its own thing and is generally weak or impossible to style, it's symptomatic of other issues. Stress, pollution, sun exposure, product build-up, lack of sleep, poor nutrition, and over-styling are some things that impact hair health and cause a dip in hair quality. Clarifying your hair can help address some of these concerns—and it's a relatively easy and inexpensive way to do so. Clarifying your hair essentially helps combat the detrimental effects of product build-up, pollution, and the frequent use of hard water. When hair is exposed to these factors it becomes stringy, lifeless, and weak. Essentially, when your hair or scalp is coated by these unhealthy and unnatural elements, the flow of natural oils and nutrients to the hair shaft is blocked—this causes hair to weaken and pretty soon the results are visible to the eye. Clarifying treatments work to remove these artificial deposits, thus restoring the nutritive supply to your scalp, cuticles, and hair shafts. The clarifying treatment will not only unclog the hair follicles and cuticles to restore proper nutrition, it will also open your hair up to natural moisture and will not allow new bacteria to form on the scalp, thus preventing hair loss. What’s more is, your hair will be noticeably shinier, more voluminous and more under your control from the first wash onwards. And the upside of removing all that gunk? Your preferred hair care and hairstyling products will again be able to penetrate through to your hair, thus acting more effectively. Clarifying treatments are also excellent prep-steps and post-care options for those of you who like to color your hair. hey help cleanse prior to a dye job and also allow hair colors, especially the blonde tones, to retain their authentic tonality and keep from turning brassy. So, what’s the secret purifying ingredient that is going to restore your hair to all its glory? Baking soda! Yep, that innocuous little kitchen ingredient is really all you need. Simply create a mixture of 1 tablespoon of baking soda to 1/4 cup of warm water and pour it onto your scalp. Rub the mixture in gently: be very careful because baking soda is abrasive and vigorous rubbing can hurt your scalp. Take a wide-toothed comb and brush the mixture down the hair length to coat all your hair evenly. Allow the mixture to sit for around five minutes before rinsing it off. You might need more of the mixture if you have very long or thick hair. Now, there are a couple of other things you can do. If you started on relatively clean hair you can simply wash with the baking soda solution and leave things be. If your hair’s a little dirty or you want to transition into a new hair care routine slowly, you might want to follow this step up with your usual wash-and-condition routine. You can also start mixing in this mixture with two tablespoons of your regular shampoo to make a clarifying shampoo that adds a purifying, exfoliating touch to your usual routine. I recommend using a hair rinse to restore the hair’s natural pH balance. Acid rinses such as DIY vinegar hair rinse (a wash made of 1 tsp. of raw apple cider vinegar dissolved in water) or a lemon rinse (the juice of a single lemon in 4 cups of water) are wonderful natural hair rinses. One of the most significant benefits of using this homemade baking soda hair clarifying treatment is that it is free of all of the worrying chemicals and additives you have to contend with if you purchase a store-bought hair clarifying treatment. Of course, there are some excellent options out there in the market but if you’re looking to remove product build-up, using more products may seem counterintuitive. Or you might just be the sort who enjoys homemade hair care products and remedies and this DIY clarifying treatment will make a great addition to your bathroom shelf. Any time that you notice your hair continues to stay limp, greasy and dull despite all your best efforts to revive it, it’s time to reach for that DIY hair clarifying treatment. If you’ve noticed that your hair never really feels properly cleansed even after washing and you’re yearning for that satisfying "squeaky clean" feeling, it’s time to reach for that DIY hair clarifying treatment. Other symptoms include itchiness and a flaking scalp as well as difficulty in styling. Even if you haven’t noticed any of these things, do try this clarifying treatment. A lot of people notice the difference only after there is one. And detoxifying your hair can save you a lot of money, grief and time that might otherwise be spent on all sorts of hair care remedies and products and visits to a specialist. Remember to make hair clarification a regular part of your hair care routine but don’t go overboard with it. I recommend using this clarifying treatment only once a week. Clarifiers can sometimes leach away some moisture from the hair as they work to remove any unhealthy elements, which is why you shouldn’t use them too frequently. 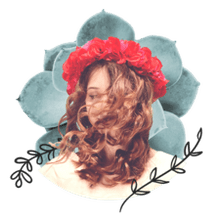 Homemade hair clarifiers are kinder to the hair than chemically manufactured treatments, which means they are better suited for those with colored or otherwise chemically treated hair. Weekly clarifying can go a long way towards boosting hair health. Remember: it's always easier to maintain healthy hair than to repair damaged hair. 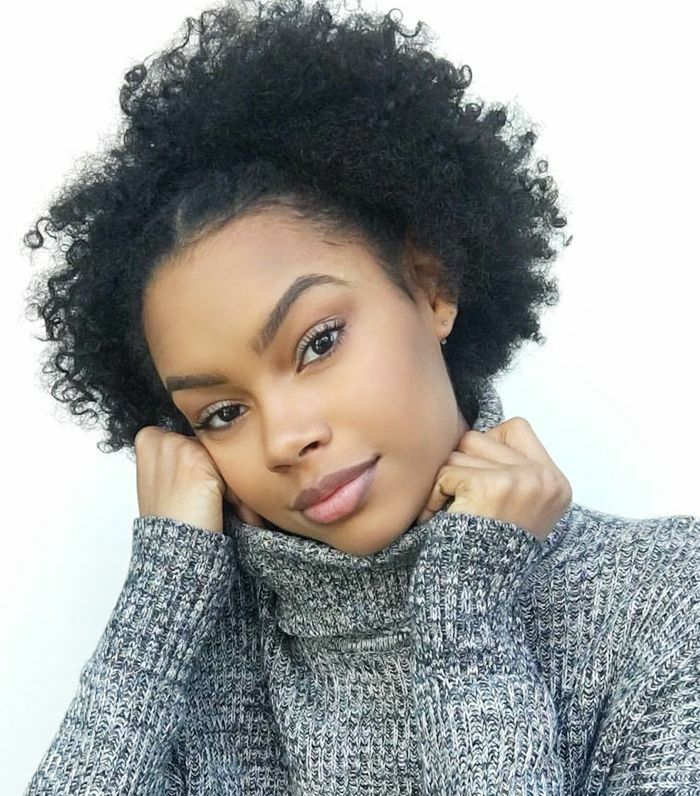 How Can Apple Cider Vinegar Rinses Benefit Black Hair?